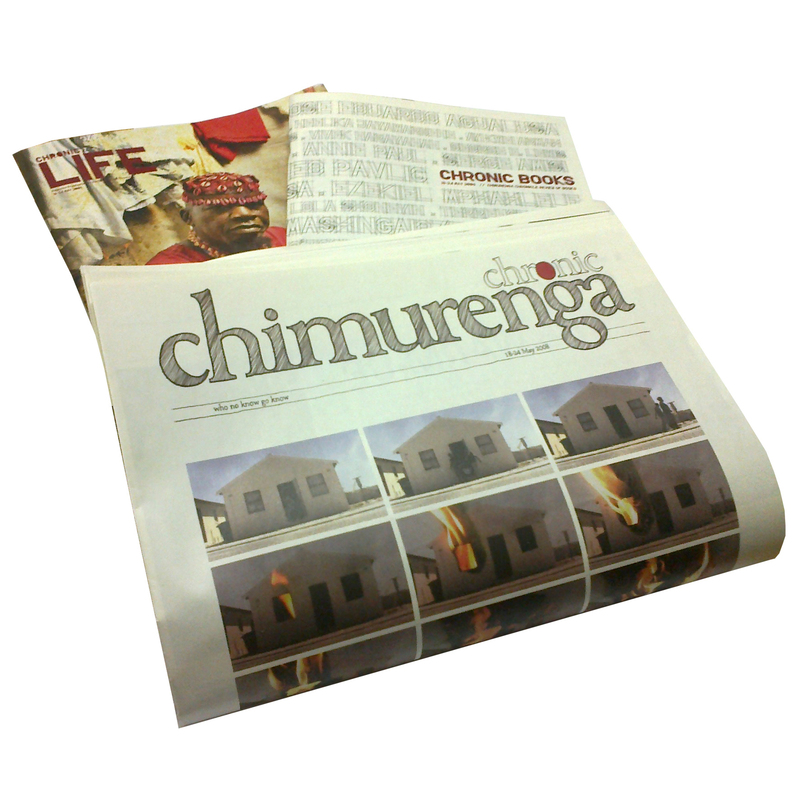 The Chimurenga Chronicle, is the once-off edition of an imaginary newspaper which is issue 16 of Chimurenga. Set in the week 18-24 May 2008, the Chronic imagines the newspaper as producer of time – a time-machine. The print edition includes a 128-page multi-section broadsheet, packaged with 40 page Chronic Life Magazine and the 96 page Chronic Book Review Magazine. An intervention into the newspaper as a vehicle of knowledge production and dissemination, it seeks to provide an alternative to mainstream representations of history, on the one hand filling the gap in the historical coverage of this event, whilst at the same time reopening it. The objective is not to revisit the past to bring about closure, but rather to provoke and challenge our perceptions.